In one of my earlier posts, I had mentioned filling out an application for a Scholarship program that would help pay a part of my tuition. The Bonner Leaders Program awards 25 first and second-year students a $1,100 scholarship after they complete 260 hours of paid or unpaid community service and complete a 3-credit leadership development course. Many students volunteer in different roles whether it is cleaning up trash in ditches, volunteer at soup kitchens, mentor younger students, or in my case volunteer at the Milwaukee Boys & Girls Club. As a camp counselor for 4 years I’ve had my fair share of experiences with kids (i.e. bloody noses, “he/she called me stupid” accusations, capture the flag successes/failures, “he/she won’ t share"). During those 4 years, I’ve learned a great deal about kids and how to work with them. However, in order to work with kids and be successful/enjoy yourself: you need to be a kid at heart. 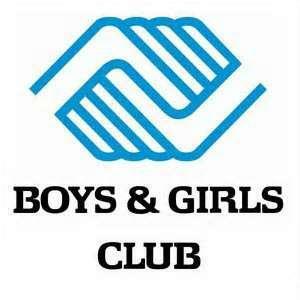 I took that mentality with me into the Boys & Girls Club yesterday, not really knowing what to expect in a new environment. I chose to help out in the recreation/gym center for the afternoon knowing that I would enjoy it. Despite getting beat in H-O-R-S-E by an 11 year-old and then losing in 1 on 1 to a 13 year-old, I had an awesome time. Whether I was rebounding and passing the basketball to one of the kids in the gym, or asking another kid who their favorite basketball player was, the smile on their face made up for my degradation in H-O-R-S-E and 1 on 1. After leaving the Boys & Girls Club, I knew why I chose to go to school at UWM-Milwaukee. After a tough week in the classroom, all was forgotten in the 2 hours that I spent volunteering. Volunteering made me appreciate what I have and knowing that a B- on a paper was not the end of the world. After playing with kids who may not have had as lucky of a childhood as I did, and seeing them genuinely smile over something as small a made jump-shot, made me appreciate not only my family and friends, but also my education that I was receiving at UWM. Fantastic! I love good volunteering stories. It's win win if you ask me, the recipient and the donor both feel good afterwards! Way to go! I'll bet you get as much out of it as the kids do. I really do believe that's true. I'm always glad to hear what you are up to. And you're always up to something good. It's the end result of volunteering that makes it all worthwhile! very good.You enjoy doing this and making the kids smile.Volunteers are very helpful to all sort of people out there.Where you working for the SPCA etc.You feel good,the kids feel good and it is good for the soul.I enjoy doing some volunteer work as it makes me feel damn good. Good for you.Keep on doing this.This may help you out a lot.Good work there my man. Keep us informed on the happenings. The kids are a ton of fun, too!